Letter to Gujarat CM: Frustrated farmers see govt gameplan, agree with anti-dam NBA, "waters meant for industry"
Khedut Samaj Gujarat (KSG), the upcoming non-political farmers’ organization, has threatened state chief minister Vijay Rupani that if the work for providing Narmada waters via minor canal No 4B of the Dholera region south of Ahmedabad fails to begin within a week, its farmers would begin a major protest dharna in Gandhinagar, the state capital. Declaring the date and time, Tuesday, May 16, 2017, 12-00 pm, the spot, KSG has declared, will be either the office of the Water and Power Consultancy Services (WAPCOS), a Government of India consultant which has been given the job to prepare for supply of water, or what has come to be identified as Satyagrah Chhavani, where all protests take place. 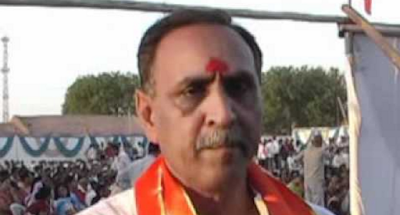 In a letter to Rupani, KSG leader Sagar Rabari has said, the farmers of Dholera region, where the state government recently planned special investment region, are upset by the refusal of the officialdom to tell them whether the “promise” to provide Narmada waters to their agricultural fields in Dholera. In fact, Rabari’s letter says, the farmers are beginning to see that the anti-dam Narmada Bachao Andolan (NBA) saw through the government gameplan years ago when it said that Narmada dam was not being built for farmers, and its water would go to industries and industrialists. “Their warning has come true; the government is working overtime to construct pipelines to take Narmada water to their industries but farmers are made to run from pillar to post for their rightful share of the waters”, says Rabari. “In the last one and a half months, we visited the SSNNL executive engineer at Limdi thrice, Dhandhuka office twice, and they have a standard reply to our repeated phone calls – work is pending with WAPCOS”, Rabari says.